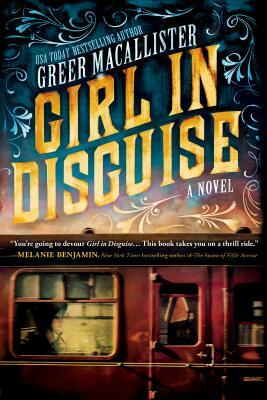 For the first female Pinkerton detective, respect is hard to come by. Danger, however, is not. In the tumultuous years of the Civil War, the streets of Chicago offer a woman mostly danger and ruin--unless that woman is Kate Warne, the first female Pinkerton detective and a desperate widow with a knack for manipulation. Descending into undercover operations, Kate is able to infiltrate the seedy side of the city in ways her fellow detectives can't. She's a seductress, an exotic foreign medium, a rich train passenger--all depending on the day and the robber, thief, or murderer she's been assigned to nab. But is the woman she's becoming--capable of lies, swapping identities like dresses--the true Kate? Or has the real disguise been the good girl she always thought she was? As the tensions between the north and south escalate, Kate takes on a job in which the stakes have never been higher. The nation's future is at risk, even as the lines between disguise and reality begin to blur.